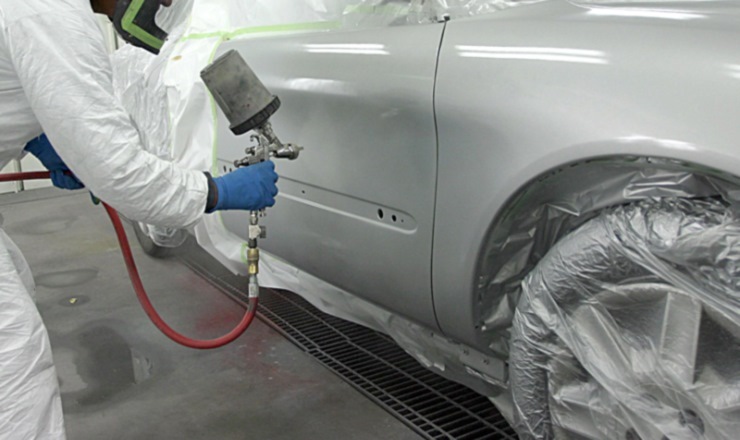 A new line of hose that will satisfy the highest demands of paint manufacturers is now available. The IVG hose Chem Vernici/upe combines the resistance to a wide range of aggressive fluids with the dissipation of electrostatic charges. It is available with or without helix wire, in a wide range of diameters, with a 10 bar working pressure and safety factor 4:1. It has speckled tube (white / black) in cross-linked high molecular polyethylene, suitable for the transfer of varnish, lakes, enamels, inks and solvents. The cover is black EPDM resistant to chemicals, abrasion, ozone and weathering. Thanks to the particular structure of the hose lining, the tube is dissipating and has those conductivity characteristics which make it suitable to work in dangerous atmosphere and therefore helping safety in working environments. Even in the painting field, the use of quality products like IVG hoses contributes to brilliant results on the treated surfaces. We are able to provide advice to the users with specific instructions to avoid damaging the quality of the fluids conveyed by any trace of emulsion. We recommend care in cleaning during the installation and maintenance of the connections, and a periodic check of the ground resistance.